The £140M Macallan Distillery and Visitor Centre in Speyside has been opened as part of Edrington Group’s £500M investment in the brand, which is considered to be one of the leading single malt whiskies. 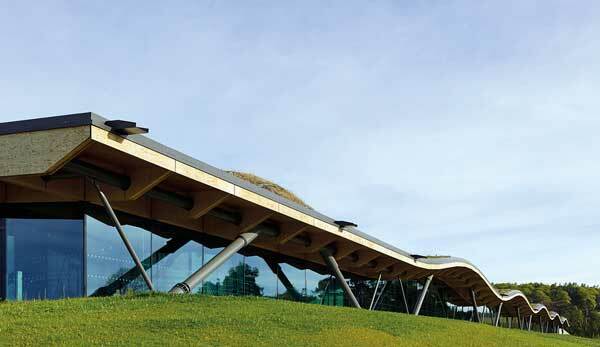 Designed by Rogers Stirk Harbour + Partners, the distillery is said to be a striking piece of contemporary architecture as it is cut into a slope, taking its cues from Scottish hills and maximising aesthetic beauty while minimising the visual impact. 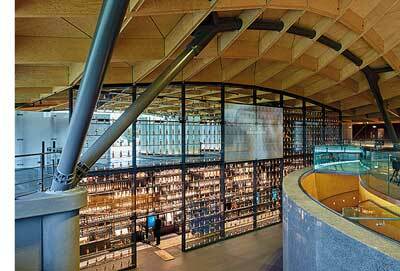 The building is topped with an undulating timber roof, which is supported by a series of steel CHS columns. Further steelwork supports and frames the structure’s main glazed façade. Working on behalf of main contractor Robertson Construction, S H Structures fabricated, supplied and erected 600t of steel for the project. The tonnage also included steel for the manufacturing process within the facility, such as process tables, pipe bridges, link bridges and flue towers.